Available thickness 5mm, 6. 25mm, 6. 5mm, 7mm, 7. 5mm, 10mm. Width36", 39", 42", 45", 48", 54", 60", 66", 72". 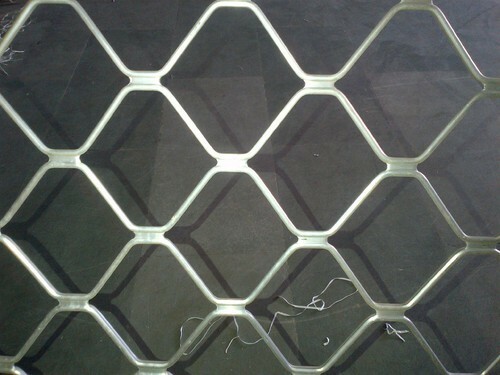 Dhariwal Trading Company came into being in the year 2009 and carved a niche as the known suppliers of Aluminium Grills, Aluminium expanded mesh, Aluminium sheet-coils, Wiremesh and Aluminium Products. These products are best known for their special features such as low cost, rust-proof, accurate composition, long life, easy maintenance, durability, fine finish, superior quality, dimensionally accurate, abrasion and corrosion resistant, no adulterants, customized sizes, high efficiency and many more. These products are sourced from the reliable vendors of the industry and offered at comparatively low prices keeping the financial constraints of clients in mind.